NewGen Business Solutions has announced a new software platform to configure, price and quote (CPQ) products with the NetSuite accounting software in Chicago. The NetSuite integration at Chicago-based NewGen allows users to improve their efficiency in selling and processing orders. The application is Configure One’s Concept Enterprise Product Configurator (www.configureone.com), which integrates seamlessly with NetSuite to help businesses improve their selling and order processing procedures. The application allows for greater customization of products and services. “The Concept Enterprise Product Configurator and NetSuite are already being used with great success in many industries including, manufacturing, distribution, and high technology. NewGen clients will find the software to be intuitive and easy to use. 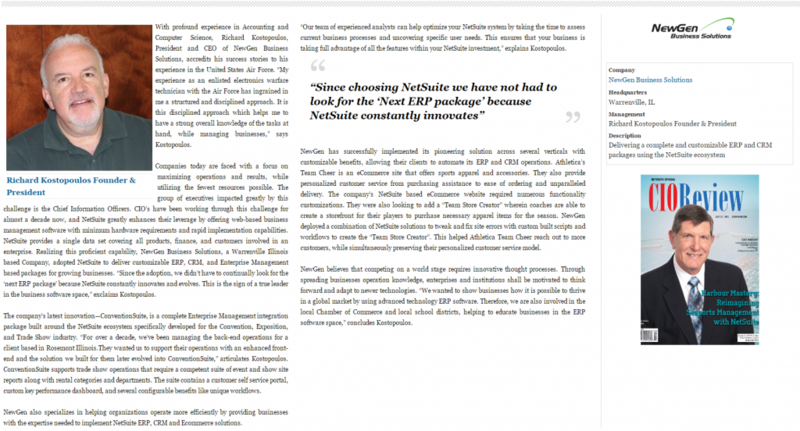 This software will be extremely helpful for any NetSuite user that offers configurable products and services,” noted Richard Kostopoulos, President and CEO, NewGen Business Solutions (www.newgennow.com). 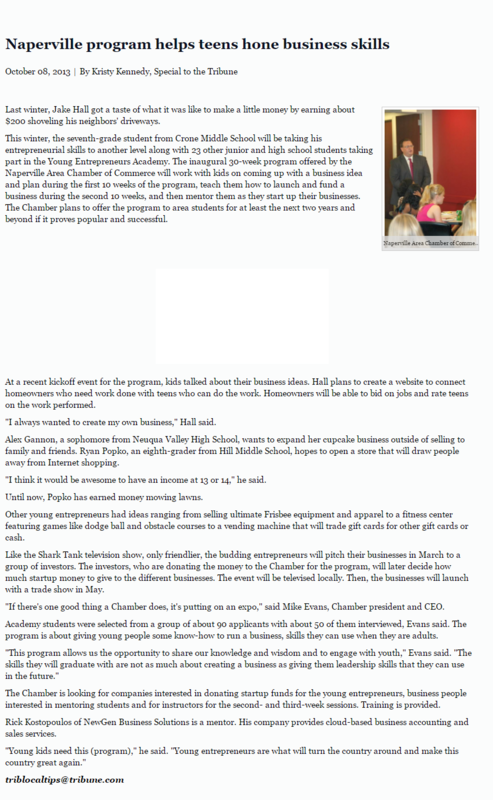 NewGen Business Solutions has announced an add-on for Sage ERP accounting software, called eRequester. Also offering other business accounting software in Chicago, NewGen products help users improve their operational efficiency and accuracy. 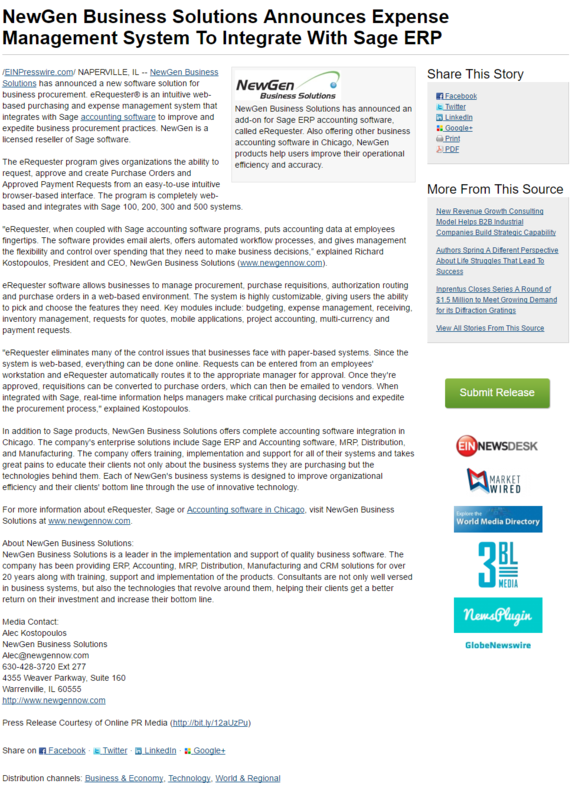 NewGen Business Solutions has announced a new software solution for business procurement. eRequester® is an intuitive web-based purchasing and expense management system that integrates with Sage accounting software to improve and expedite business procurement practices. NewGen is a licensed reseller of Sage software.